It is really a beautiful experience. And down the elevator, rife with enviable views of the ruins from a closer perspective, is a cafe, selling delicious sandwiches and antipasti, wine and espressos. 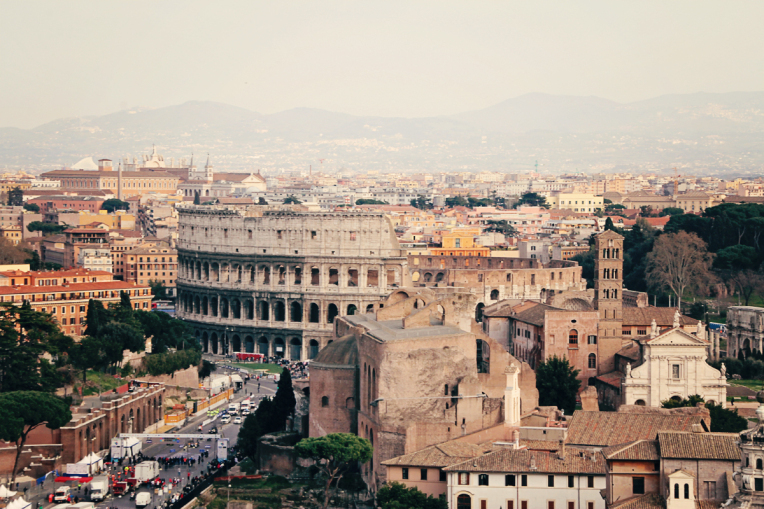 If you ever find yourself in Rome, it’s an experience you cannot miss. It is worth the price of a handful of euros to take the elevator to the top of the Vittorio and see the city laid out before you. I’ve seen people engaged there. 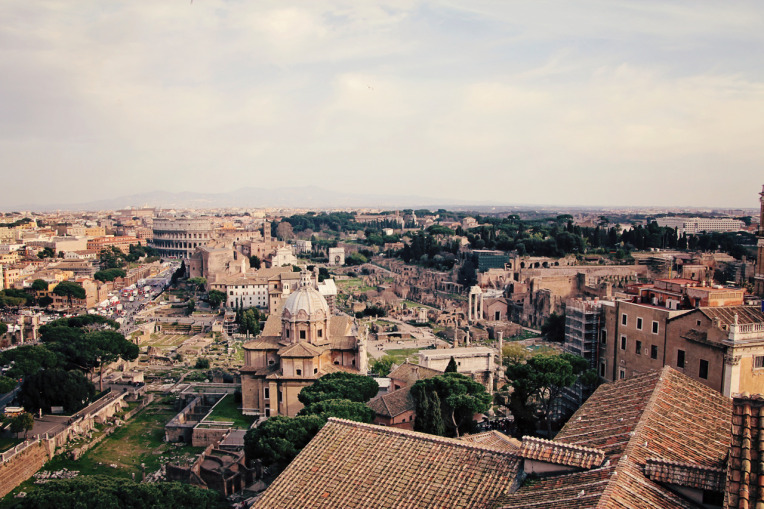 I have memories on the rooftops of Rome locked in my heart forever. I wonder if I have new ones to make before I disappear. How to Get There: The entrance to the elevator is located near the cafe around the back of the monument, in the passageway between the monument itself and the adjacent Church of Santa Maria in Aracoeli. Use the stairs at the Piazza del Campidoglio or at the Piazza Ara Coeli for the easiest access.